BeerViking: 65 beers in one day – easy, right? 65 beers in one day – easy, right? Judging at the International Beer Challenge for the first time was both hard work and great fun. You might expect the latter for something involving gallons upon gallons of beer, but not the former, right? Well, look at it this way: our table was just one of ten, each of which had around 60-70 different beers to taste. Every one of us judges needed to taste each of our beers and discuss it, before deciding if it merited a bronze, silver or gold medal. That’s a lot of different flavours to assess – then try to clear off your palate, ready for the next one! As usual with beer judging – I’ve judged other competitions before, but not one on this scale – the beers were presented in groups. 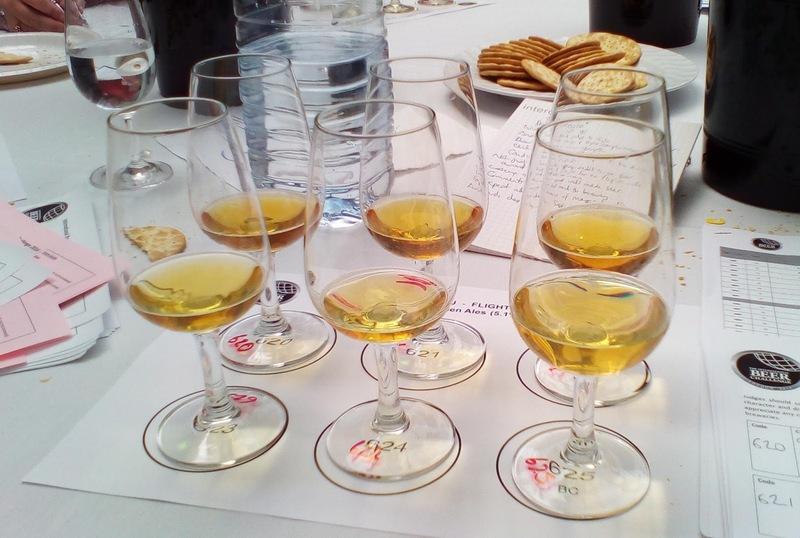 Some of these were obvious, for example a tray of British-style pale ales and bitters or one of Hefeweizens, while others were defined more broadly – by the use of cherries, say, or by being gluten-free. The beers were all anonymous, and because they can be from anywhere in the world, the chance of accurately recognising one without any clues was pretty slim. 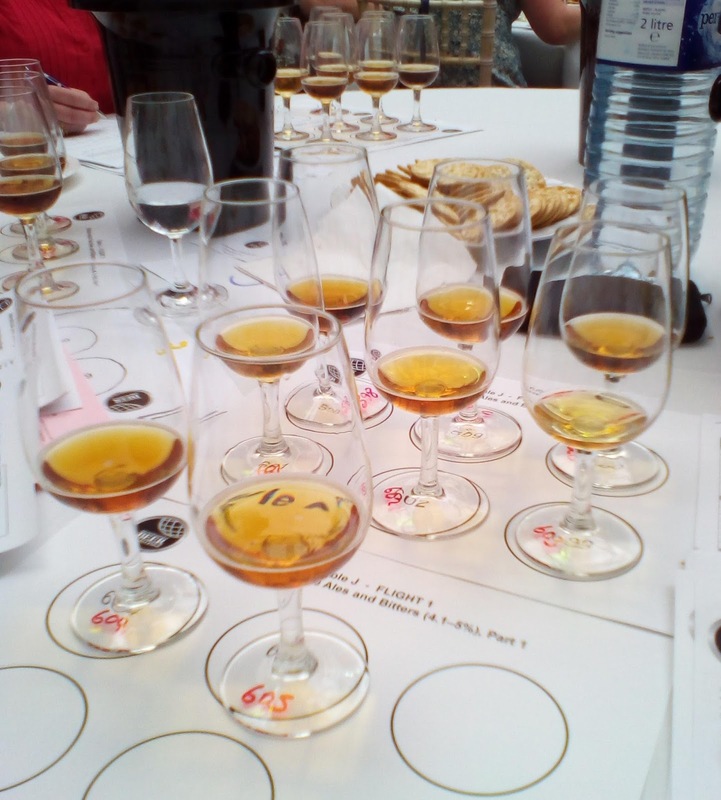 The most interesting bit was the interplay with the other judges, who in my case included another writer, a beer sommelier who also runs beer tours, and two people working in beer retail. For each beer, we’d examine, sniff, taste and then write notes, before discussing its medal-worthiness. Sometimes the accuracy of their descriptions or flaw-spotting was startling – the exact tropical fruit aromas, say, or that a sample was oxidised – while on occasion I’d spot a flaw before they did. The IBC asks you to judge each beer on its individual merit – “would you recommend this to someone else?” – rather than ‘judging to style’, as you do for the big American competitions. Judging to style means each entry not only has to be a good beer, but it also has to fit the often hair-splitting technical definition for the style of beer that it purports to be. The best-known style guide is the US-originated Beer Judge Certification Program (BJCP) listing which you can download or find in mobile app form. If you are planning to taste several different beers, the general rule is to start with the lowest in alcohol strength and work up, and that’s how each grouping was presented to us. Mostly this worked well, though occasionally you’d get a stronger-flavoured one in the middle of the group and have to nibble a cracker and sip some water (actually we sipped a lot of water!) so it didn’t affect your judgement of the next one. The alternative rule for beer tasting is to start with the subtler ones and work up to the stronger flavours, but of course you have to know what beers you are drinking to do that. So, a really interesting day’s work, and a very impressive effort by the organisers at Agile Media, which publishes several drinks-related titles, such as Off Licence News and Harpers Wine & Spirit. I was especially impressed by the patience and dexterity of the servers bringing us the samples, and by the thoroughness and efficiency of the organising staff, who ensured we both got and turned in all the right paperwork at the right time.